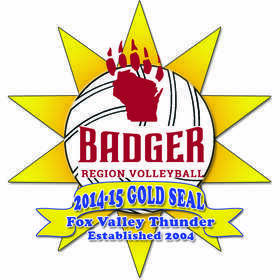 Welcome to the Fox Valley Thunder Volleyball Club! Fox Valley Thunder will not be offering teams for the 2018-2019 season. Thank you to all the families who have supported our club throughout the years. It has been an amazing journey and all the staff (board, coaches, administration) are grateful to have met so many great athletes and their parents! Thank you for all the wonderful memories. Everyone at Fox Valley Thunder wishes you the best of luck as you continue your club volleyball experience. Thanks for being a part of our family.